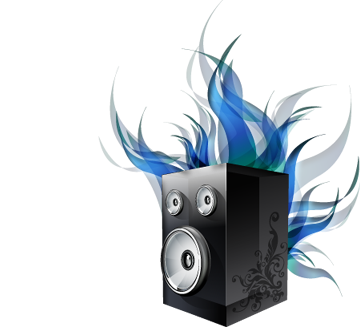 SoundPimp based on High Definition Stereo (HDS) is a technology in software that opens up for a more exact and natural sound than traditional stereo. Sonic improvements are most often audible as a general refinement. While stereo tends to limit the soundstage in between the 60 degree loudspeaker angle, HDS is stepping past this boundary, literally filling the room with a holographic and ambient soundstage. High Definition Stereo (HDS) is a technology for stereo loudspeakers only, mono loudspeaker or mono audio stream will not work, and headphones will not work. The reason is that HDS corrects for an acoustic error present on stereo loudspeakers only. Read more about this in the How SoundPimp works section. The use of SoundPimp is simple and straight forward. 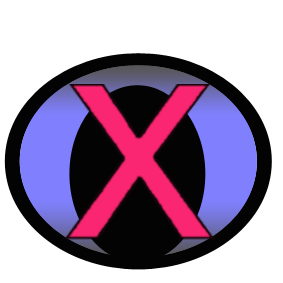 Once up and running, SoundPimp is more or less reduced to a ON-OFF button. It is import to take a conservative approach to the positioning of the two sliders. The figure above illustrate a good starting point, not overdoing the HDS effect, and not too loud volume. Study the following guidelines for best results. Note that the dashboard menu is also available as right-click (Windows) or as ctrl-click (Mac). Loudspeakers should be positioned at a more narrow angle than the default 60 degrees used for normal stereo. Experiment with angles between 10-40 degrees. Try to avoid use of wider angles as this may cause the impression of artificial phase effects. When optimally configured, the soundstage can be very wide, stretching far on the outside of the loudspeakers. It should literally be possible to achieve 120 or even up to 150 degrees of soundstage, if the recording was made that way. Toggle between HDS and normal stereo with the self-evident speaker toggle button. Adjust the HDS level with the bottom horizontal slider. Adjust according to personal preferences and the most natural sound. Sliding to the right increases the HDS effect. Remember to turn off HDS when listening via headphones of all kinds. Reduce the volume level with the vertical slider if “overload” distortion is heard, or use it as the preferred volume leveler for the computer. A yellow number to the right of the peakmeter is an indication of audio overload. If audible, reduce the volume to correct for this. This overload indicator is reset automatically after a few seconds. Turn off the peakmeter by clicking on the -60 area, or select -30 (dB) as an alternative scaling. 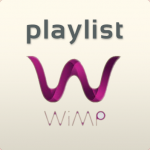 In case of troubleshooting, it is quite practical to have the peakmeter activated because it serves as a validation that there is presently an active audio stream passing through SoundPimp. Normal use is to minimize HDS user interface and simply toggle the HDS effect in the System tray. Some laptops and some types of recordings may benefit from a tint of bass boost. Experiment with the toggle button, however, it will only be effectual when HDS is active. The audio system configuration is different for Windows and Mac OS X, please the respective sections of this tutorial. 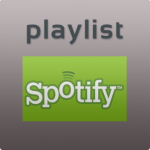 For various reasons, the audio system of computers may occasionally become unstable in an audible manner, be it contiguous sound flow, unpleasant clicks, or whatever. For such situations it may help to simply flush & reset the whole system. Simply click the button and wait a few seconds. If this does not help, a restart might be the best option. When there is no sound, the most common error is perhaps that one of the volume sliders are set to a very low level or even zero. 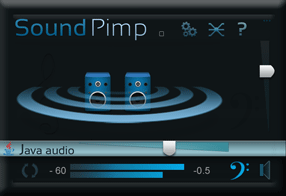 In addition to the volume slider on the SoundPimp dashboard, there is often a similar slider in the media player and there is normally a “system volume” slider available through the operating system. So there can be 3 or more volume sliders to “manage”. Make sure all these sliders are set to a positive value, else there can be silence. Examine input and output audio channel setup. See above. Try a hard reset, simply by exiting and restarting all programs used in the audio playback.